Cet important moment d’échanges a réuni de nombreux participants (> 580 inscrits), représentants européens, nationaux et régionaux des 7 pays alpins, afin de dresser un premier bilan de la mise en œuvre de la Stratégie, de présenter les actions en cours et de réfléchir collectivement au futur des stratégies macro-régionales après 2020. La SUERA vise en effet notamment à mettre en cohérence les dispositifs de financement existants, à travers l’articulation des 80 programmes financés par les Fonds Structurels Européens auxquels sont éligibles les territoires de la région alpine, dans le cadre de la politique de cohésion de l’UE. The Alps remain an anchor of stability and prosperity in Europe and a region with strong economic assets. But there are still challenges that must be faced and which go beyond national boundaries: trade flows, traffic congestion, ecosystems, climate change, or pollution. 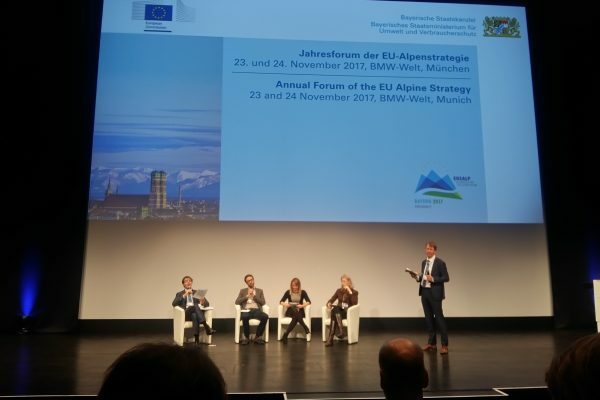 This is why two years ago Alpine Stated and Regions have decided together to reinforce the region’s assets by setting up the EU Strategy for the Alpine Region. . The quick start of its implementation has raised many expectations amongst stakeholders. 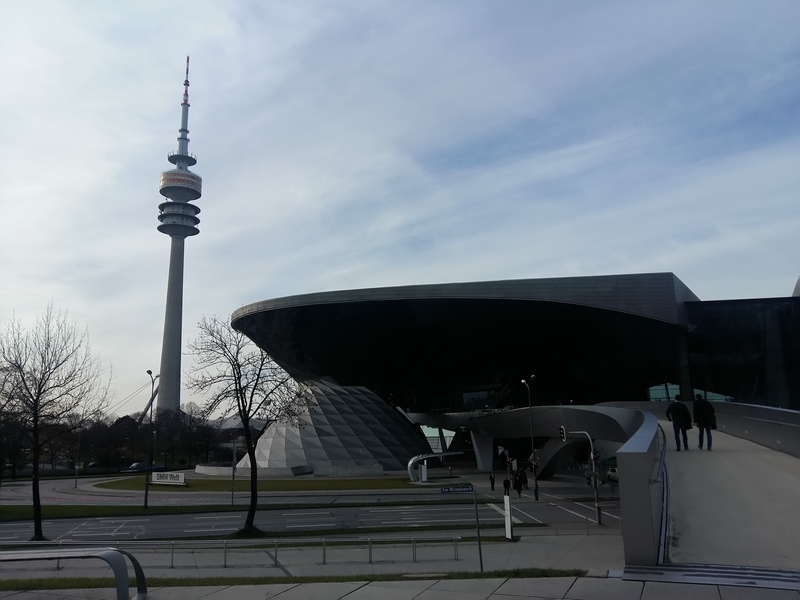 Today and tomorrow representatives from European, national and regional representatives, as well as other stakeholders meet in Munich to take stock of what has been achieved through the Strategy and to look at the remaining challenges. 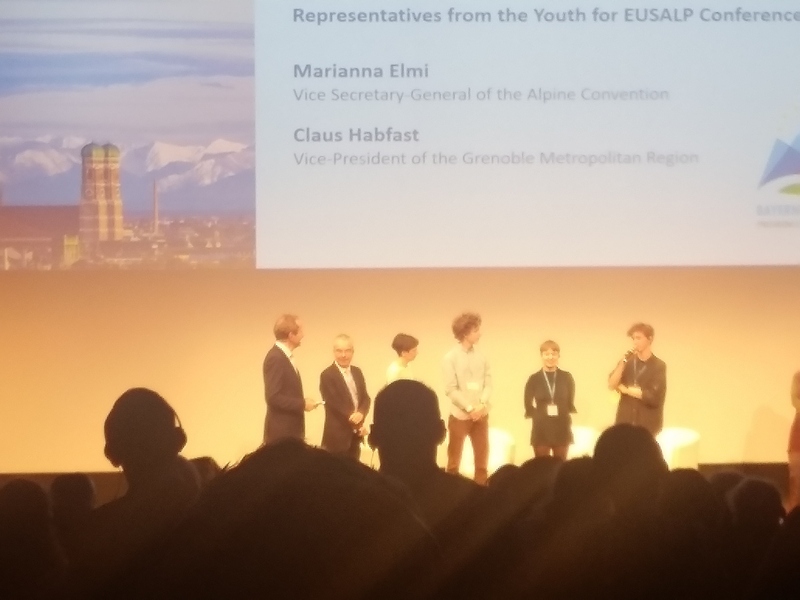 An important dialogue framework for the 7 EUSALP countries, the first EUSALP Annual, Forum, jointly organised by the European Commission and the current Bavarian Presidency, will focus on how to addressg the major challenges together in cooperative way.. The ministers representing the 7 countries will adopt the “Munich Joint declaration on the EU Strategy for the Alpine Region, confirming their countries’ commitment to address the current challenges together!. Tomorrow, the Commissioner for regional policy Corina Crețu will be in Munich, Germany, to participate in the first annual Alpine macro-regional Strategy Forum alongside Karl-Heinz Lambertz, President of the Committee of the Regions. “This first forum will be an opportunity to make an initial assessment and to renew our commitment to the strategy, to work more closely together, across borders, in this big and beautiful region” stated Commissioner Crețu, “It will also be an opportunity to reflect on the future of our macro-regional strategies after 2020.” The Alpine Strategy, which brings together seven countries (France, Germany, Italy, Austria and Slovenia, as well as Liechtenstein and Switzerland) along with 70 million people, aims to further pool resources in the region to address common challenges, such as air pollution, road congestion and to increase trade. 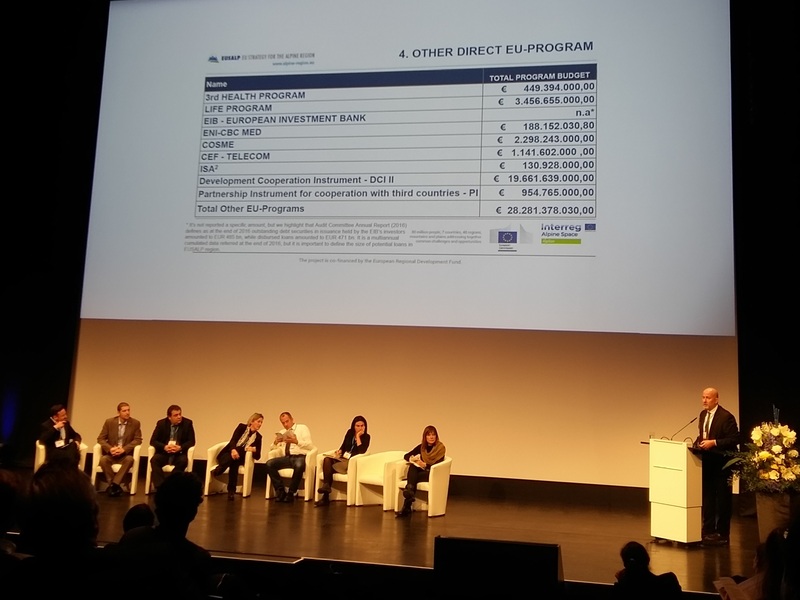 These resources include 80 different programmes financed by European Structural and Investment Funds; the aim of the strategy is to ensure the best use of the aforementioned programmes for everyone. The success of EU macro-regional strategies presupposes, in addition to the commitment of all those involved, also an adequate financial envelope for implementing measures. 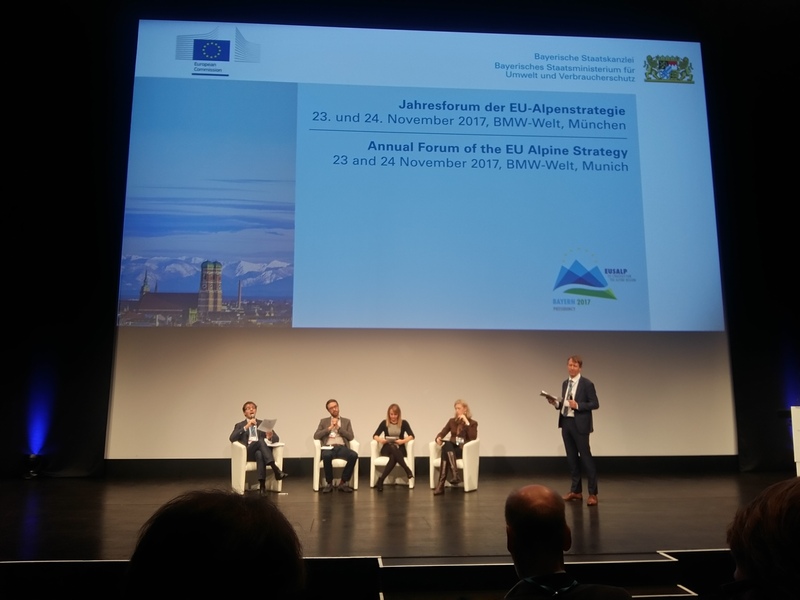 On initiative of Bavaria, 14 member regions of the EU Alpine strategy have adopted a common political position on how macro-regional strategies can be more firmly embedded into EU policy and into the EU Multiannual Financial Framework after 2020. This position will be discussed in the context of the current political discussions about the EU’s future and its finances. 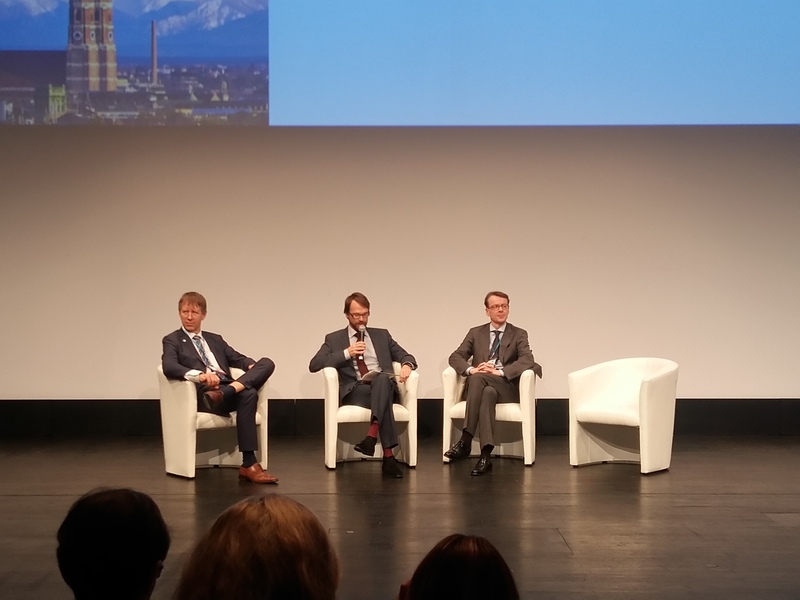 Macro-regional strategies such as EUSALP are transforming regions. But do they also change the way those regions are perceived? The relationship between mountain and metropolitan regions is characterised by reciprocal images, which also influence the development in the ‘extended Alps’, their growth and innovation. 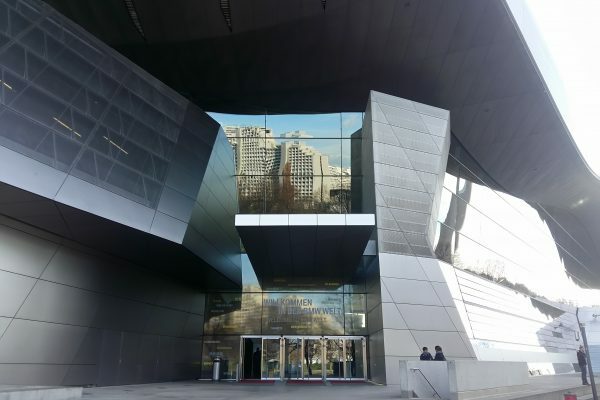 Based on the study “Interaction between mountain regions and metropolises”, the workshop will address the potential of a critical questioning of mutual perceptions and expectations in the relation between metropolitan regions and mountain areas. 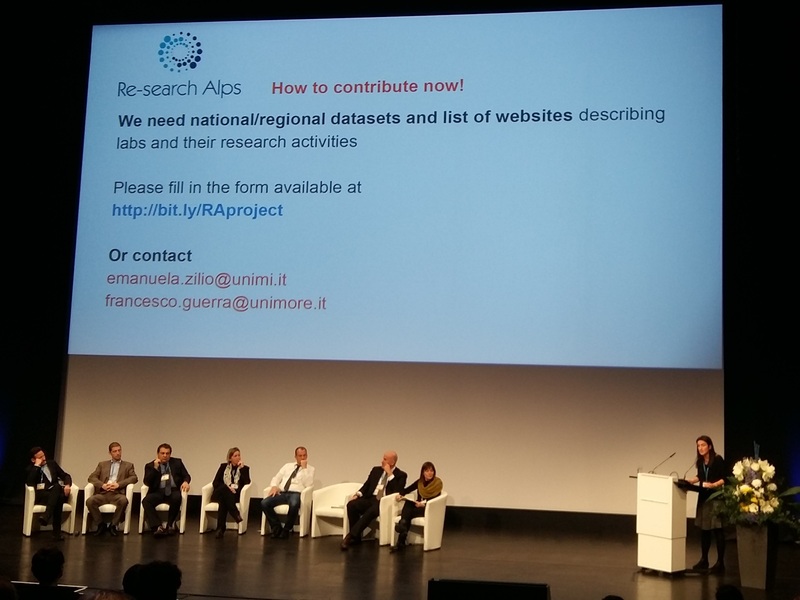 Furthermore it will explore their impact for the specific fields of the EUSALP Action Groups. 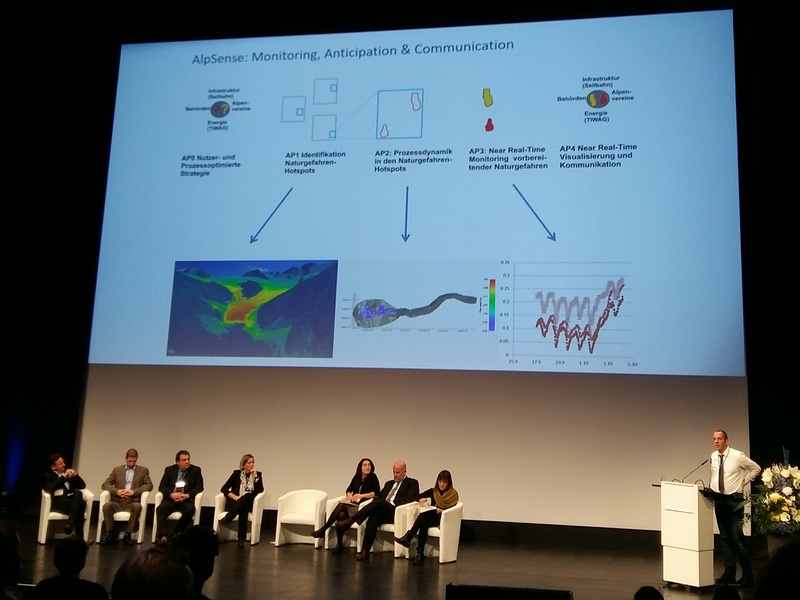 The development of an effective Research and Innovation Ecosystem in the Alpine Region requires to bring together the existing potentials of 7 Countries and 48 Regions to better exploit synergies in the strategic sectors. AG1 members will present and discuss the projects and actions they are carrying on to tackle this challenge and particularly to (1) know about all existing bodies, networks, funding programmes and policies related to R&I; (2) view how strategically reinforce networking and harmonize programmes and rules; (3) plan a sustainable economic growth in line with the R&I Strategies for Smart Specialisation. The Platform of Knowledge will make these tools, services and results available for all users. Some best cases from ongoing Alpine Space Projects and related to AG1 priority fields of interest will be presented. 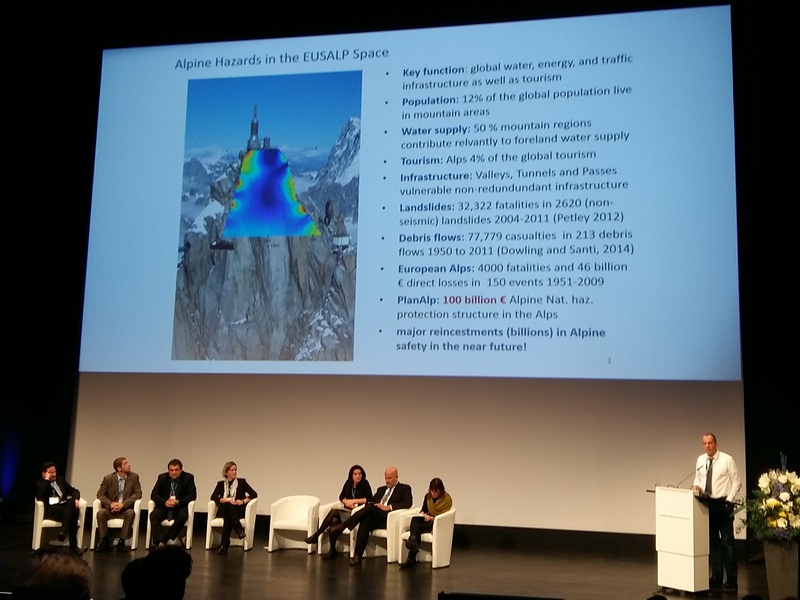 The EUSALP Action Groups 7 and 8 have to tackle two big challenges. Sectoral synergies seem possible, for example concerning mountain forests, but what could be appropriate strategies for practical implementation? 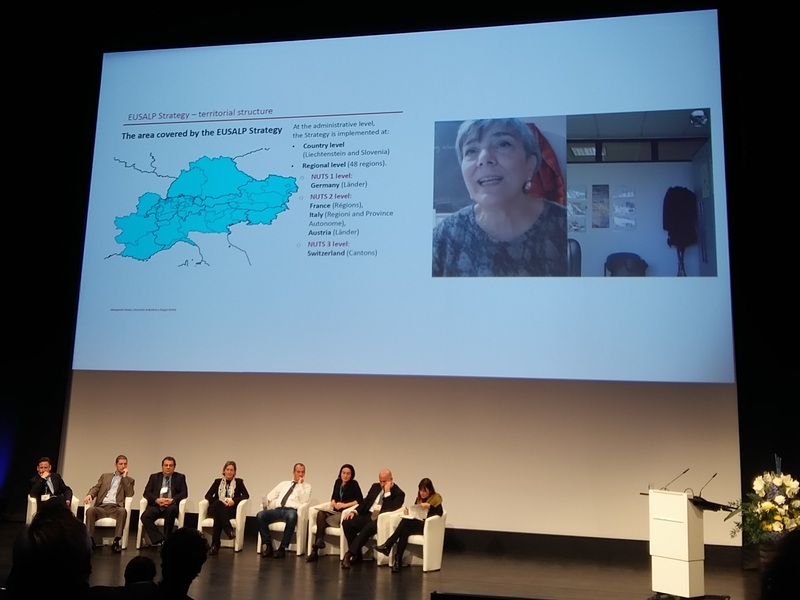 “Going local” – the current trend of community-led local development takes up the idea of mobilizing local communities and organizations to achieving overall goals in an integrated bottom-up approach. 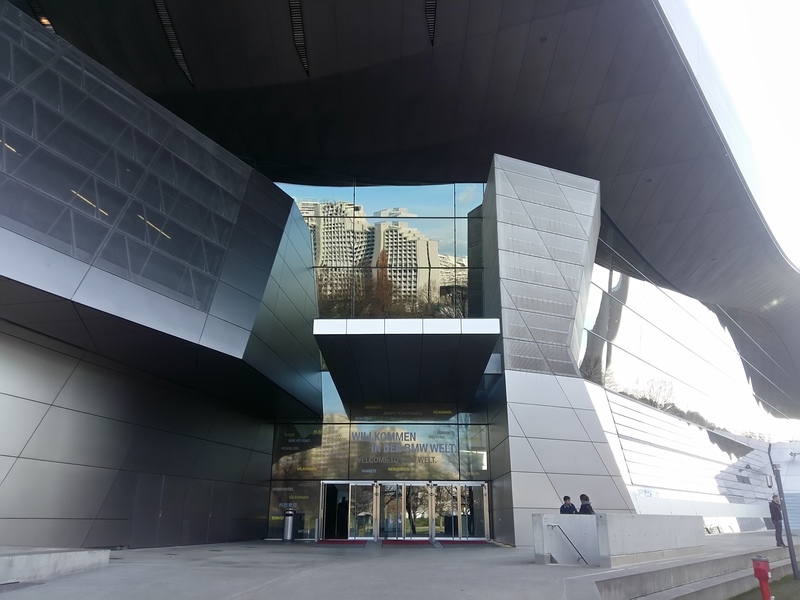 Could the local level in future be also the key to cope successfully with the big societal challenges of deploying a Green Infrastructure and dealing with natural hazards in times of necessary climate adaptation? The workshop will connect local stakeholders and decision makers to Alpine experts. 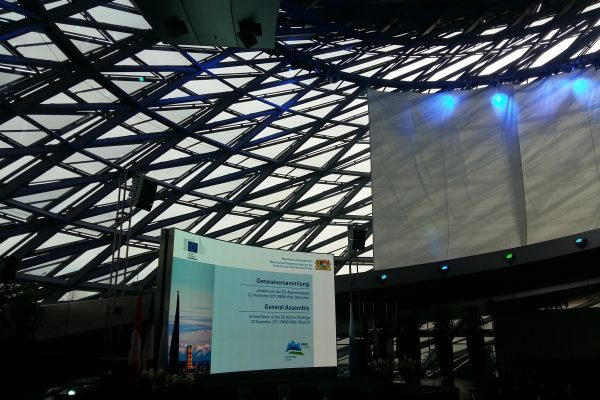 It will give an impression of crucial sectoral topics, possible synergies and innovative solutions on the local level. 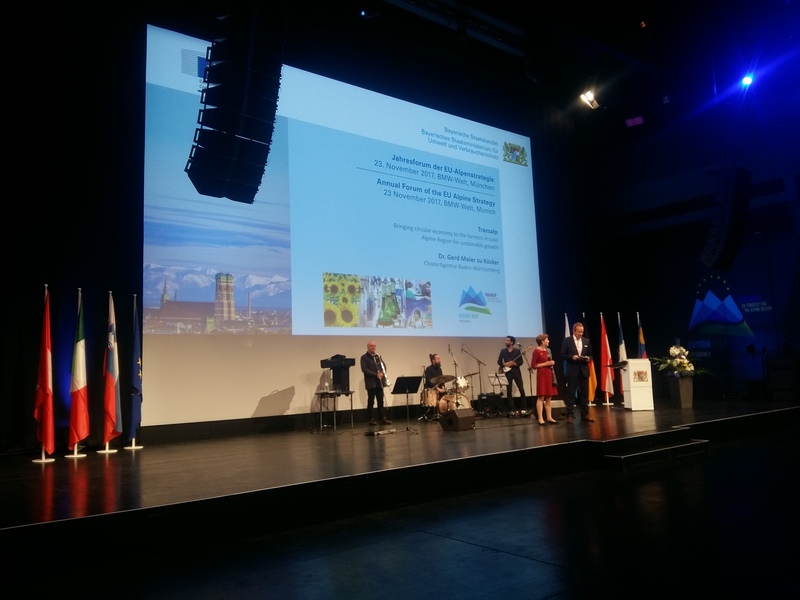 Together conclusions and indications for further activities will be identified and a vision of how ideal cooperation mechanisms in the Alpine Region might look like will be initiated. The improvement of cross-border connectivity in passenger transport requires the optimization and harmonization of travel information systems across regions and states. 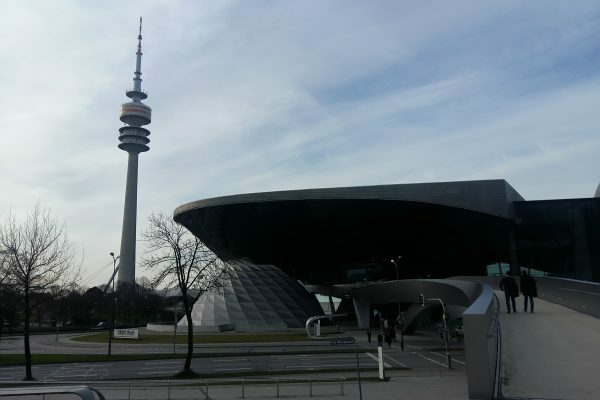 Experts will discuss the main challenges towards the creation of an interconnected multimodal travel information system, making public transport and sustainable modes more attractive and easy to use. Jürgen Roß, Board of DELFI: With DELFI towards a consistent passenger information for Germany! – and also for EUROPE? This workshop builds on the political discussion of the topic in workshop 1. 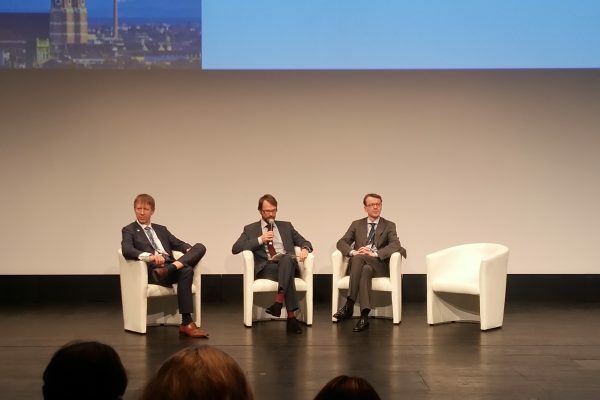 In an open panel discussion, experts from the INTERREG programme management, the implementation of the macro-regional strategies in the Member States and regions, as well as from the European institutions can identify and discuss the specific approaches and steps to better embed macro-regional strategies in the EU policy framework after 2020. Alpine Health Tourism combines medical and tourism aspects within the cornerstones of tourism, alpine authenticity, medical evidence, indication-based development, and regional development. The workshop will give insights to transnational projects that serve as role models for the development of Alpine health tourism based on unique natural healing resources. 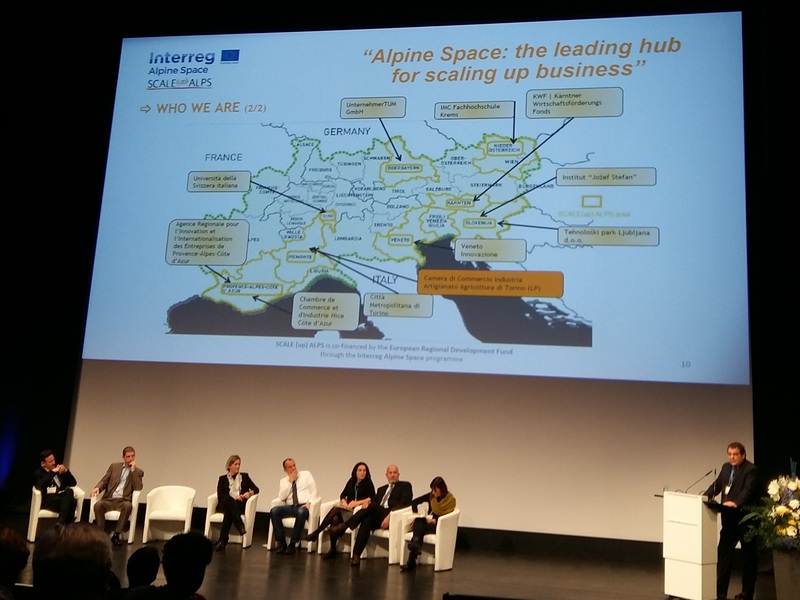 The workshop means to demonstrate the practicability of the bio-based value chain creation chain approach in the Alpine region by the example of two specific projects, namely the project idea “AlpLinkBioEco” as well as the EUSALP kKowledge and Innovation network (EKIN). 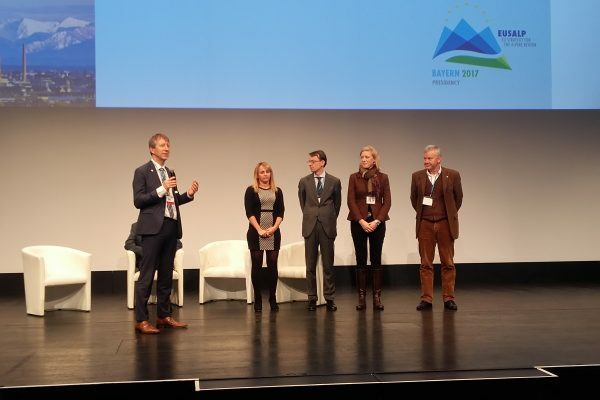 In addition, the project “Next generation – mountain farming 2030” shall demonstrate that the establishment of innovative bio-based value chains for mountain products can expand the prospects for young farmers in the Alpine Region. The project “Smart Village” aims to improve the availability of public services in small villages and towns through the use of IT (e.g. eHealth, digital education, energy supply etc.). Specifically, the project intends to first examine the current state of play of digitalisation at regional level. In a second step, an open source Exchange platform as well as individual tools will be developed and tested with the involvement of different stakeholders. Eventually, the tools are meant to be made available to all villages and cities. The aims of this workshop are to get a common understanding of the concept of Smart Villages, to refine the activities of the strategic initiative of Smart villages, to create synergies between the three concerned Action Groups and to investigate the potential for cooperation. The workshop further aims to communicate to participants the challenges and opportunities of digitalisation in the Alps and to provide concrete solutions, to identify ways of spreading the concrete solutions to other areas in the alpine arc not actively involved in the EUSALP-projects and to show the added value of the EUSALP process to the public. 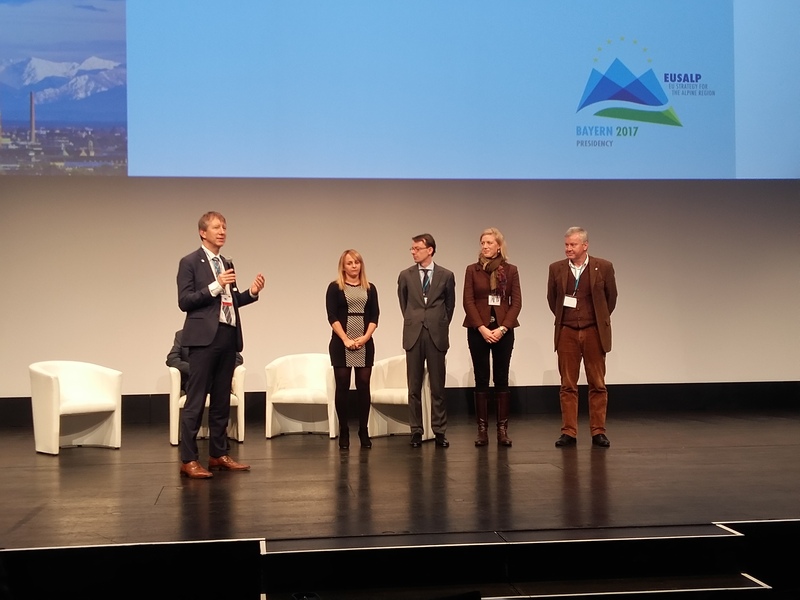 Open to EUSALP EB members, nominated communication experts and specifically invited guests only! The internal expert workshop is to contribute to improving the communication of macro-regional strategies. 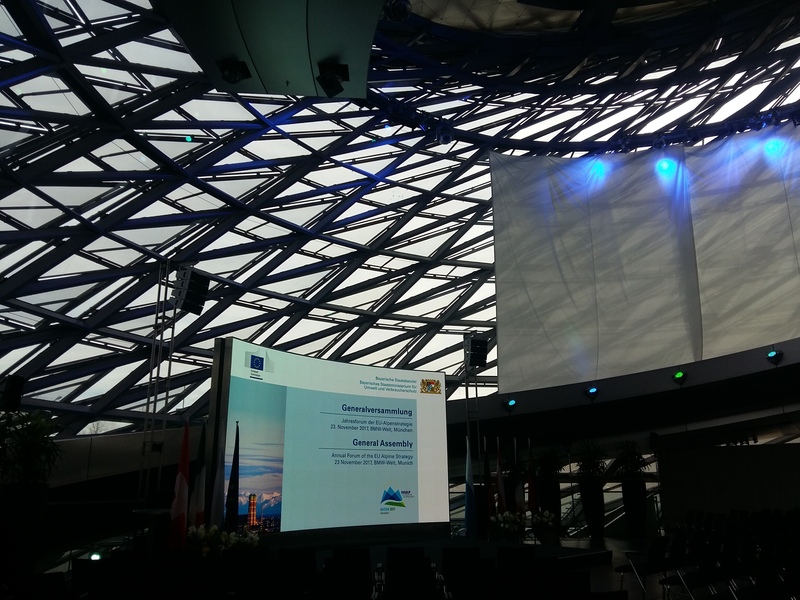 Based on an exchange of experience with transnational communication strategies from the EU Strategy for the Alpine Region, the Alpine Convention, and Interact and taking into account the results of a Conference on Communication at the Mediterranean Coast week in September 2017, communication experts of the Alpine States and regions are to discuss synergies and possibilities to pool their forces in communicating macroregional strategies.